pls buy manila bulletin today (jul 13) for your free copy of style weekend! 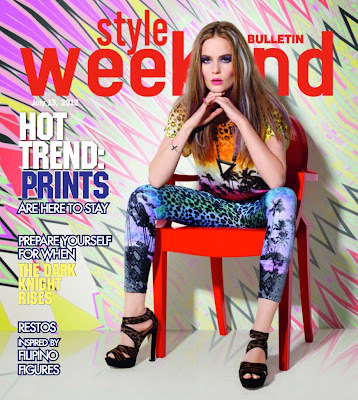 on the cover: it's the year of the prints! outfit by miss selfridge. see more of their prints inside, also from the ramp. also in this issue: mon-sun style of blogger shai lagarde, all about the new batman movie, restaurants inspired by filipino cultural figures, travel/hotel/food promos, and more!